These grain elevators remain somewhat in contrast to the new urban developments that surround them, but they stand as a reminder of Frisco’s roots as a farming community. The importance of agriculture to the growth of Frisco cannot be stressed enough. 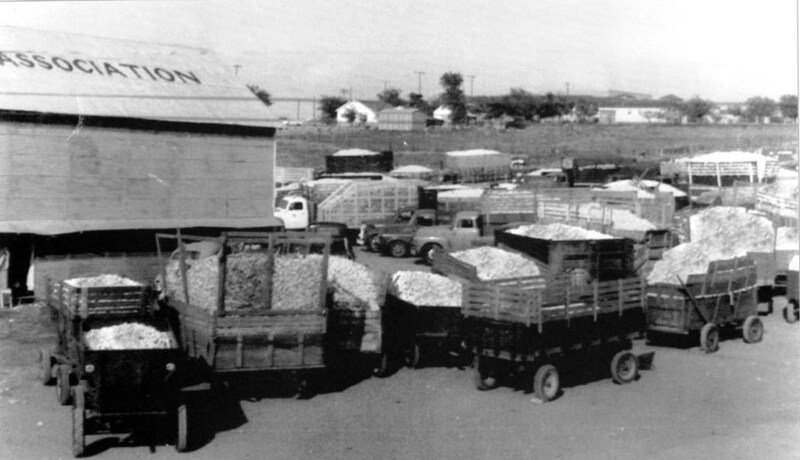 The railroad brought the town, but the farmers sustained it with their crops that they shipped on the railroad. The land on the west side of the tracks bordered by John Elliott Drive was never intended to be for homes and here is where the flour mills, cotton gins, and grain storage were placed. The only part of that history still standing is this complex of grain storage buildings that were built in the late 1940s and early 1950s. It is believed that Continental Grain built the silos. Many of the early cotton gins, flour mills, and grain storage facilities burned and were usually rebuilt since farming was the main way of life in the early days of Frisco. You will still see an occasional field of wheat in the area, but cotton is no longer grown in Collin County. The last cotton gin closed in 1976. Farming is Frisco’s legacy and that history is preserved on street signs, schools, and business parks around the City—Smith, Wade, Newman, Elliott, Cobb.